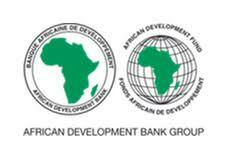 Established in 1964, the African Development Bank (AfDB) is the premier pan-African development institution, promoting economic growth and social progress across the continent. There are 80 member states, including 54 in Africa (Regional Member Countries). The Bank’s development agenda is delivering the financial and technical support for transformative projects that will significantly reduce poverty through inclusive and sustainable economic growth. In order to sharply focus the objectives of the Ten Year Strategy (2013 – 2022) and ensure greater developmental impact, five major areas (High 5s), all of which will accelerate our delivery for Africa, have been identified for scaling up, namely; energy, agro-business, industrialization, integration and improving the quality of life for the people of Africa. Office of the President; Independent Development Evaluation Department; Integrity and Anti-Corruption Department; Compliance Review and Mediation Unit; Secretariat to the Sanctions Appeals Board; Administrative Tribunal; Office of the Auditor General; Group Risk Management Directorate; General Counsel and Legal Services Department; Communication and External Relations Department; Staff Integrity and Ethics Office and Office of the Secretary General and General Secretariat. The purpose of the Department is to plan, prepare and implement public relations and institutional communication programs designed to make the Bank better known by its various audiences so as to promote social and economic development in Africa, and to establish and maintain the Bank’s credibility and good reputation as Africa’s leading development finance institution. The Department is also responsible for enabling the Bank to understand better, how the institution is perceived both internally and externally. Under the general guidance and supervision of the Director Communication and External Relations, the incumbent guides the team in its day-to-day work in editorial and content, multi-media, design, branding and publications. 1. Under the leadership of Director, develop and implement a Bank-wide internal communications strategy that meets organizational objectives and aligns with the Bank’s strategic objectives and needs. 2. Measure the effectiveness of internal communications messages and channels on an ongoing basis and make recommendations to review and amend the strategy as appropriate. 3. Manage and monitor the Bank’s internal communication programme so that internal stakeholders are informed of organizational news, and direction. 4. Ensure organisational initiatives and projects are successfully communicated to employees and internal stakeholders. 5. Plan, edit and write content for a variety of internal communications mediums, such as a staff intranet, monthly communique or regular email bulletin. Provide guidance on the layout of content. 6. Provide guidance to internal clients to translate ideas to the right messages and forms for presentation. 7. Ensure internal communications messages are consistent across all mediums and for different departments of the organization. 8. Respond to feedback from staff and adjust communications content accordingly. 9. Handle the internal communication response to crisis situations which affect organisational perception and reputation. 10. Manage intranet editors to ensure communication content meets organisational objectives for internal communications, and ensure standards of communication. 11. Oversee the process of writing, editing, designing and printing the Bank’s publications. 12. Work with relevant departments (such as Corporate IT Services) to set and maintain standards for effective email communication across the Bank. 13. Ensure messages from senior management and the Board are properly reflected in communications to internal stakeholders. 14. Play a leading role in redeveloping and improving the intranet as a key internal communications tool. 15. Manage multi-media work such as the in-house audio-visual studio; supervising all Bank’s audio or visual (A/V) products from films/documentaries to video clips; taking, managing and storing photographs; ensuring the good architecture and functionality of the website and other media platforms; data basing and archiving. 16. Overseeing execution of graphic design for both print and electronic products, infography, etc. 17. Manage a team of professionals and support staff in providing efficient and high quality services that support the business. Set realistic performance goals and motivate team members to meet them, both for individual staff and for the team as whole. 18. Manage team’s staffing and resources competently and responsibly to achieve the Division’s objectives. 19. Promote collaboration and facilitate teamwork across teams and across organizational units. 20. Maintain a high standard of professional integrity, treat individuals fairly and respectively and be sensitive to differences across culture, nationalities and gender. 1. Hold at least a Master’s degree or equivalent in Communications or related field. 2. Have a minimum of eight (08) years of relevant and progressive experience (3 years of which has been in a managerial position) in senior mass communications fields (corporate, non-profit and/or foundation) including journalism, marketing or related areas, with demonstrated stability and sustained commitment in previous position(s). 4. Exceptional writing, editing, verbal and interpersonal communications skills, with a portfolio demonstrating published works and high-level creative, thoughtful and polished printed communications collateral. 5. Experience of developing and implementing internal communications strategies and measuring their effectiveness, and managing complex projects. 7. Experience of successfully influencing internal stakeholders at all levels. 8. Experience of writing for a variety of audiences and managing intranet and a team of intranet of editors/writers. 9. Extensive hands-on experience in multimedia, web design, branding, editorial content, broadcast content. 10. Private sector experience is advantageous. 11. Innovation and Creativity - The commitment to search for and produce innovative and creative approaches to activities in order to enhance performance and create added benefits to the Bank and its clients. 12. Communication – to provide clear and concise oral and written communications; presents oral information with clarity and appropriate style and adapts language and style to suit the requirement of a particular audience. 13. Problem Solving – Applies business knowledge to the resolution of problems and identifies solutions to the benefit of the client (internal and external) and the organization. 14. Client Orientation – Ensures that the client is considered to be of primary importance in all transactions and interactions. Strives to understand, and when appropriate anticipate client needs, and ensures that the client receives the best possible service from the Bank. 15. Team work and relationship – Works with others to maximize the effectiveness of the team as a whole, share knowledge and workload. Develops strong working relationships with colleagues and contributes to the creation of a positive team environment. 16. Highly developed analytical and problem-solving skills, including the ability to implement and monitor mass communication programmes and campaigns. 22. Ability to communicate effectively (written and oral) in English or French, with a working knowledge of the other. Proficiency in both languages is an asset. 23. Understanding of and experience with various media software tools.